ADXDirect.com is the most innovative and effective interactive advertising network found on the Internet. To better service the vast numbers of advertisers and publishers, ADXDirect will attend Leadscon, Affiliate Summit and Ad:tech NY conferences again this year. NEW YORK, NY – March 3rd, 2012 –The single most important element for any successful business is performance. Where to find the highest-performing advertising network for both advertisers and publishers? Look no further than ADXDirect.com, the most innovative and effective interactive advertising platform found on the Internet. A quick glance at the company’s growth over this past year would convince any advertiser or publisher to sign up immediately with ADXDirect.com. This past year brought in a 75% higher reach, meaning more publishers, ad impressions, and a greater overall presence. Premium Sites: Ad-placement on premium sites with top quality and high traffic. ADXDirect.com offers this advantage for very affordable rates. 100% Direct Publisher-Relations: ADXDirect.com solves the problem of low levels of control and conversions, as well as poor campaign performance, by maintaining complete control over inventory. Flexibility: ADXDirect.com will help the advertiser to create a unique campaign to maximize all resources available. Specifically targeted channels: Help advertisers reach the audience they crave. Major advertisers: That these advertisers have always stayed with ADXDirect.com means that their ad campaigns rotate constantly in each publisher’s ad code, which produces higher payout rates for publishers. Matching domestic and international traffic with relevant advertising: International traffic can be effectively and easily monetized with ADXDirect.com's advertising platform. Competitive Rates: Creates affordable opportunity for publishers. ADXDirect.com also offers a guarantee of the real time availability of account representatives. Phone, email, instant messenger; any time of the day that a client has a question or request, they are available. The most remarkable aspect of ADXDirect.com’s success is its growth within the industry. According to the Interactive Advertising Bureau, the internet ad revenues hit $31 Billion in 2011, representing an 22% increase from 2010. 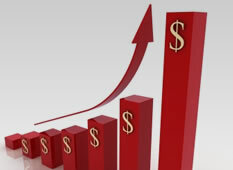 Since ADXDirect.com is a leading advertising network, it is no surprise as to the global growth. This includes a much wider audience than ever before for ADXDirect.com, ranging from Western Europe, Australia, Asia, and the U.S.
With the Affiliate Summit and Ad-Tech trade show coming up in the next few months in New York City, ADXDirect.com will make its presence felt and further its brand within the ever-growing world of online advertising. Please come and set up a meeting with us, we will be happy to talk to you there!